as you see we are writing few post in ATOR in the summer season, due to different field projects which take us away from home. Today I try to start again to dedicate some time to our research blog. The topic of this post regard a solution we are currently using to help us in the archaeological exploration of high alpine lakes: the documentation of the bathymetry through a low cost sonar. 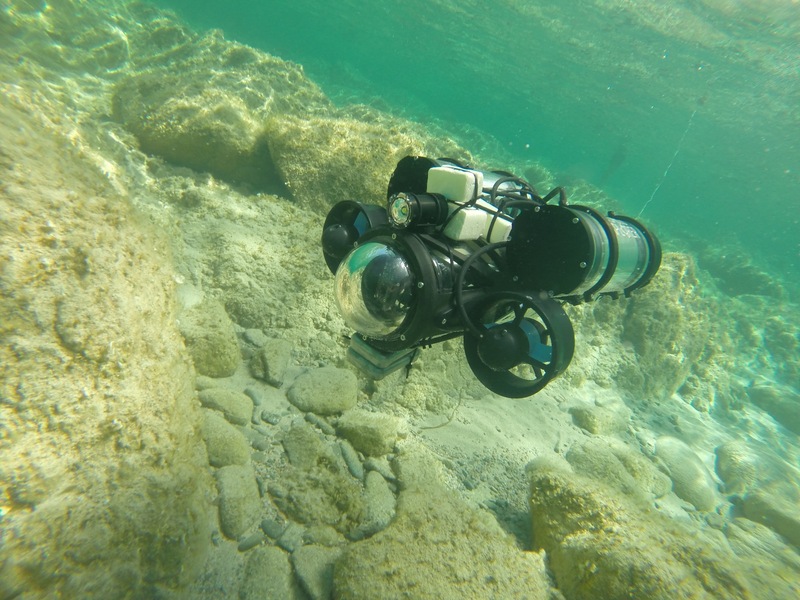 As you maybe know, since a couple of year we are working on underwater archaeology projects in the alpine lakes of our region (here an example). This kind of exploratory mission are difficult, due to the altitude of the site we have to investigate (almost always over 2000 meters asl), so that our divers have to acclimate themselves for one whole day, before starting the working. 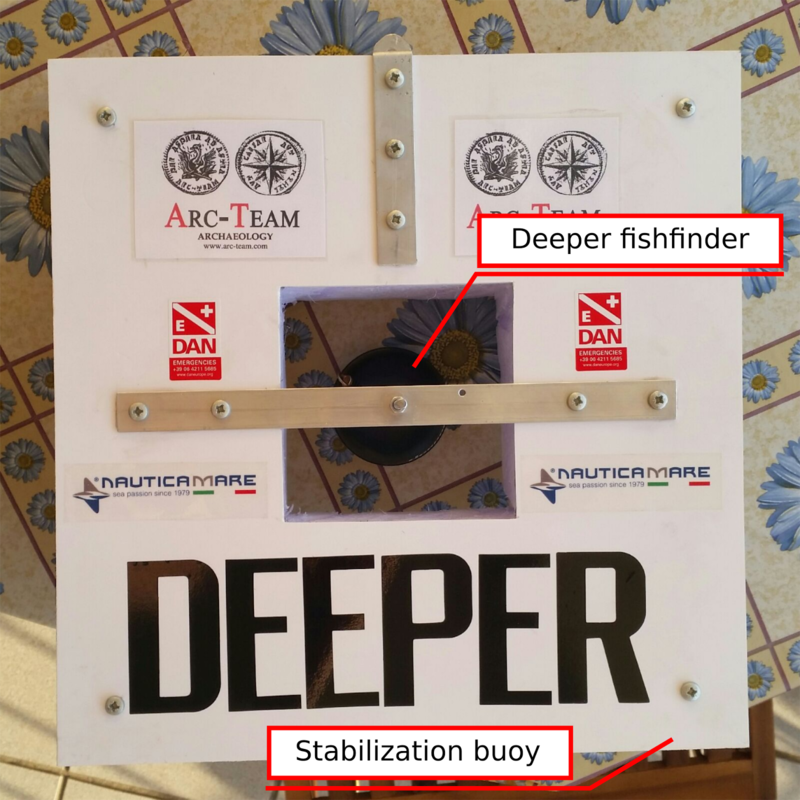 Also for this reason we started again to study archeorobotics and develop, together with our friends of the WitLab, an open hardware ROV called ArcheoROV (in order to help divers in exploratory mission). This year we focused or research in find a cheap solution to map the bathymetry of the lakes, while WitLab went on working on the Wi-Fi buoy which gives our ROV a long-range operability (respect the limitation of a simple control on shore). For this reason we tested a cheap sonar called Deeper, which normally is used as a fishfinder. We started our test in the Lake Tovel, thanks to the hep of Prof. +Tiziano Camagna , who is leading the exploration project since many years. This lake is almost our playground to develop and test new solutions for underwater archaeology, since it is a difficult environment, but not extreme (like other high mountain lakes). 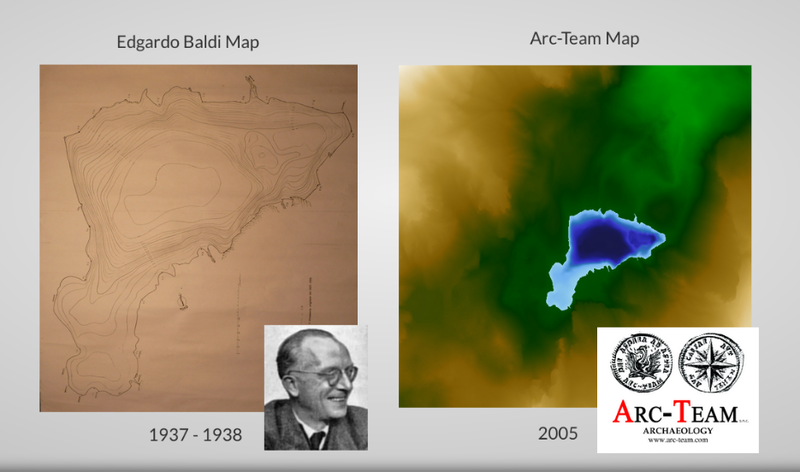 We chose this location also because, on unlike other lakes, its bathimetry was documented by Edgardo Baldi in the 30s. 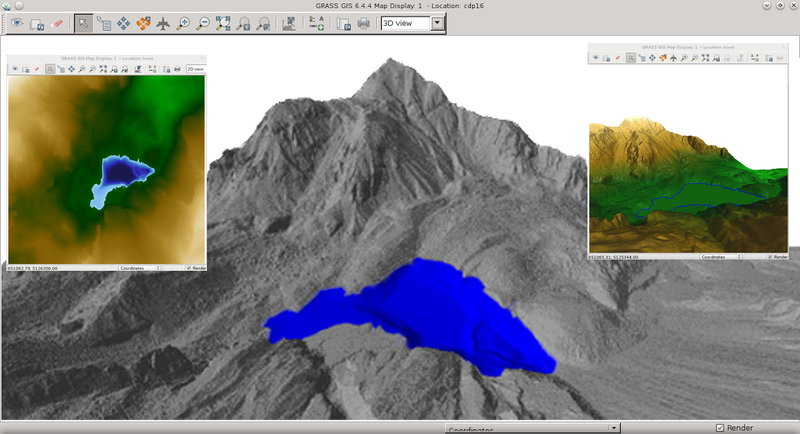 We already digitized this map, processing a 3D model in GRASS GIS, so that we have some data to check our results with our small sonar (as you can see in the image below). To test the Deeper sonar, Porf. +Tiziano Camagna designed a small buoy which can be towed by a kayak. This solution stabilize the sonar (which remain always in the right position) and, at the same time, avoid its submersion (which causes the lost of the GPS signal). First positive results (image below) encouraged us to use this solution on a real mission, at the Monticello lake (almost 2600 meters asl), at Paradiso Pass (near Tonale Pass, Trentino, Italy). The expedition was joined also by our friends of the Team Nauticamare (Massimiliano Canossa and Nicola Boninsegna) and gave us the opportunity to accomplish a first mapping of the Lake Monticello, during the first day of acclimatization. This helped us very much during the archaeological underwater mission of the second day. As a result we have now a good 3D map of the bathymetry of the lake, which we will use also in the next expedition (September 2017). Her below is a short video (done with +QGIS plugin qgis2threejs), which shows the 3D model of the lake. I recorded some videotutorial related with the processing of these data. I will try to upload them ASAP in our channel.